The main thing that inspired me in my second look were all of the building stairs that are in the walls of Chinatown. I decided to keep this a blacker and darker look because the streets and stairs in Chinatown are dirty. 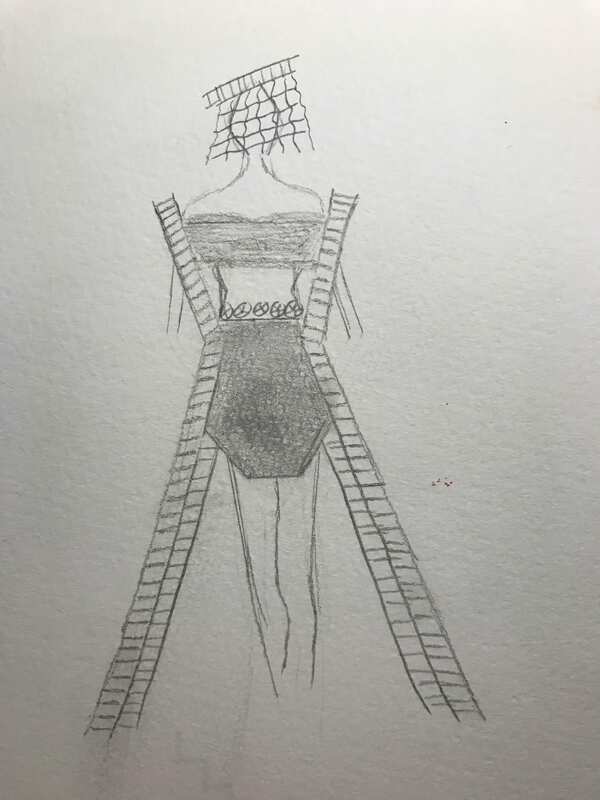 It starts with a panted leather black top and skirt that have on both sides some ladders from bottom to top. The skirt contains wheels, which gives the transportation theme a meaning in this garment. The stairs inspired me to create this look because in a way, they also help you transport from one place to another. So this is why I think the garment would adapt in Chinatown because of the many stairs and wheels the place contains.